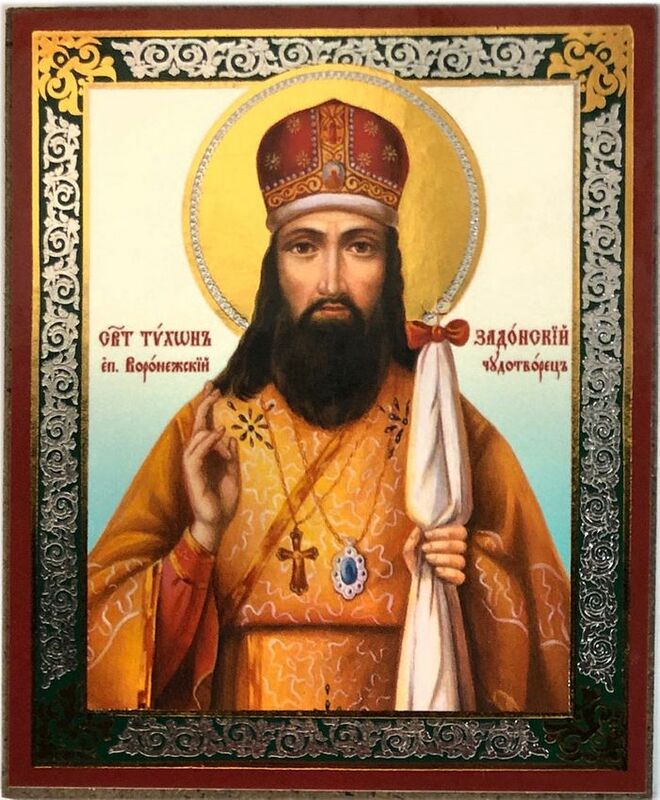 Saint Tikhon of Zadonsk was a Russian Orthodox bishop and spiritual writer who was glorified as saint of the Orthodox Church. He was born in the village of Korotsko, in the Novgorod region, Russia. He was tonsured a monk at the age of thirty-four and later consecrated Bishop of Voronezh.